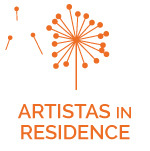 What is our ARTISTAS IN RESIDENCE PROGRAM? Mi Casita’s ARTISTAS in Residence program helps us build community with local Spanish-speaking artists who want to share their practice with the community as both teacher and artist. During this short-term (3 month or 6 month), compensated residency, Artistas collaborate with our teachers to create special projects for student both in the preschool and in the after-school, as well as with the community. Artistas may work in any discipline (arts- visual and movement, skills, crafts, and/or trade) which they are willing to share. 1. Provide students and community members from birth to adulthood with Spanish learning experiences through a creative lens. 2. Support local artists who share our vision to promote, preserve, and develop the pan-Spanish cultural arts. Mi Casita provides them with a creative venue, as well as the opportunity to design, implement, and teach using their work. 3. Showcase Artists' work at the Mini-Museo a bi-monthly event, on Friday evenings or weekends, opened to the community.